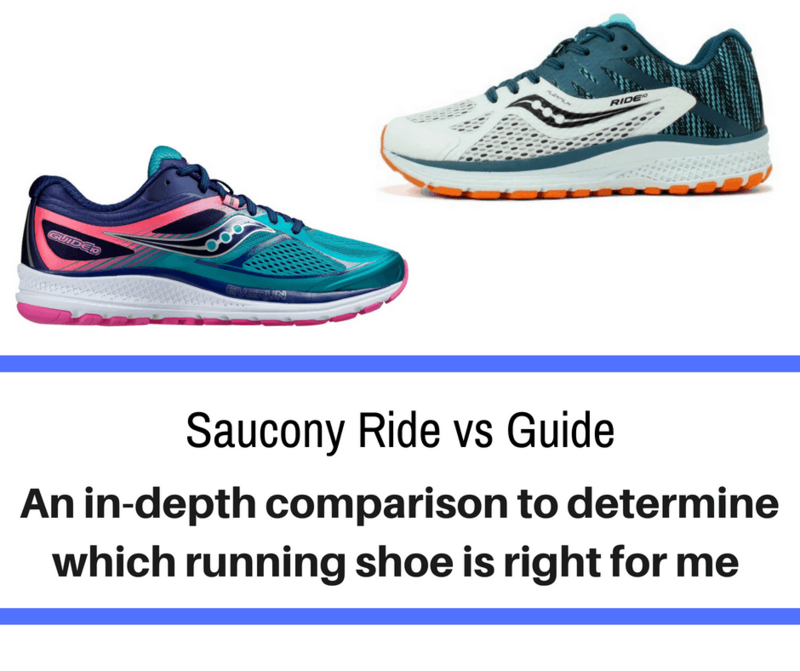 Saucony Ride vs. Guide - What's the Difference? Shoes are an essential part of running for athletes who avoid going barefoot. There are many practical reasons to have running shoes, since they protect feet from the hazards of the outside world. But these special shoes also have other benefits, such as adding extra support and taking some of the force from the foot’s impact against the ground. Since many people have picked up running as a healthy activity, there are tons of running shoes currently available on the market. One of the largest producers is Saucony, a company based in the United States. They created dozens of different shoes, including the popular Ride and Guide. We breakdown the differences between the Ride & Guide but before we dive into the comparison, what makes a good running shoe?. How to Pick a Good Running Shoe? Running shoes have slightly different requirements than other athletic or casual footwear. In particular, they need to be lightweight, comfortable, and be able to prevent some of the damage which comes from strenuous exercise. Weigh no more than 8-10 oz. This means that the ideal running shoe should be comfortably fitted, weigh little, and not have extra material or features like too much padding so the person wearing it is less likely to trip or experience other issues. The idea is that the foot still does the majority of the work in keeping a person stable but still has protection from the elements around it. Most modern running shoes meet these requirements, but sometimes people will find a shoe that has a large slope (think of a diagonal line) between the heel and toe or too much padding. When this happens, people are more likely to experience severe pronation or supination. Pronation is when the ankle rolls inward while supination is when the ankle rolls outward during strides. When someone overpronates, the shock of their footfall is not absorbed properly by the body. The force will hit the knees and hips, and sometimes even leads to muscle tearing. In these cases, runners will be unable to return to their exercise for a long time. 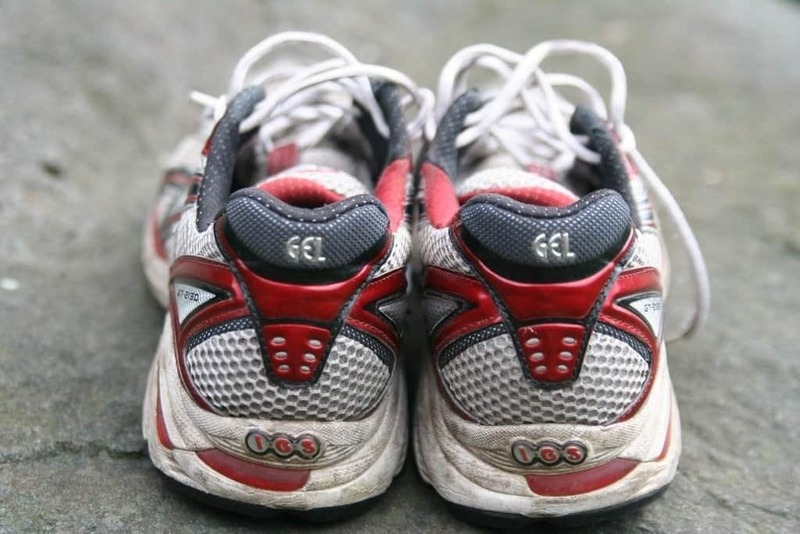 A good running shoe can help prevent these problems and many others. When picking the right running shoe, a runner needs to know what kind of foot they have. Perhaps the most important aspect in choosing a shoe for an individual is knowing what kind of arch they have. Most runners will either have a high, normal, or flat arch. 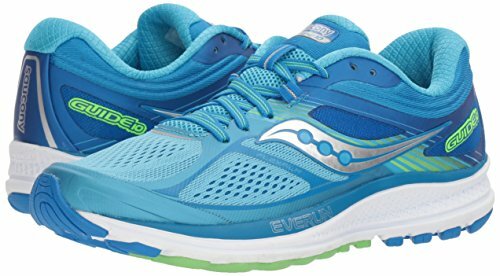 The Saucony Ride 9 is a popular athletic shoe built for runners. It has almost no slope on the bottom with only an 8 mm. difference between the heights of the heel and toe. Unlike a lot of shoes, it also meets the weight requirements established by the American College of Sports Medicine. One of the benefits of the Ride 9 is that it has a slim, lightweight fit with little padding on the sides. It does have average arch support and can be used for daily running without breaking down. The sizes do run small, but overall people find the shoe comfortable for running on the road. The Ride 9 comes in many different colors and includes extra cushioning around the tongue and toe box, which had a roomy fit. Many people also enjoy the breathability, though a few runners had difficulty with the narrow build of the shoe. 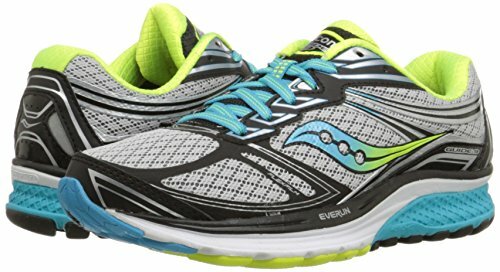 The Saucony Ride 10 is almost identical to the Ride 9. It has the exact same slope (8 mm.) and weight, meeting the American College of Sports Medicine’s recommendations. It has a slim fit and is made from lightweight material used for breathability and comfort. The Ride 10 has average arch support and very little padding. It comes in a variety of colors and runs small, similar to the Ride 9. Many people seem to have trouble with a narrow toe box, which can squish the toes of runners who would like more splay room. However, many runners found the shoes to be comfortable, durable, and able to accommodate individuals with different arches. Engineered mesh upper for dynamic, lightweight fit. Overall, the Ride 10 has minimal cushioning and can be used for road and daily running. Ride 10s do have some difficulty gaining traction on wet surfaces, so they might not be the best footwear for running in the rain. The biggest differences are the styles and colors. 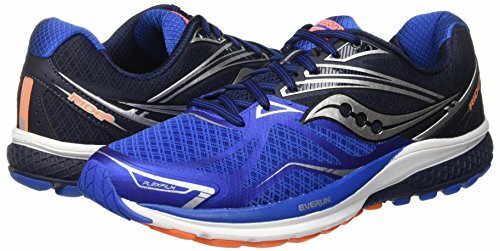 The Saucony Guide 9 is a lightweight running shoe that falls between 8 and 10 oz. depending on size. It has almost no slope from the heel to toe at 8 mm. The footwear comes in many different colors but is currently discontinued, so they might be hard to find. Many people enjoy the Guide 9 because it is made from flexible, comfortable, lightweight material and has arch support without including a ton of extra padding. The shoe is durable and can be used for daily road running. The tongue and sides do have some cushioning, but it is minimal. One downside of the shoe is that the back runs a bit tight, so it can run against the skin. However, the Guide 9 overall has a slim, true to size fit. The toe box is roomy and has space for splay. The Saucony Guide 10 replaced the Guide 9 and is actually very similar in terms of general stats. The Guide 10 also weighs between 8 and 10 oz. depending on the size and has an 8 mm. slope between the heel and toe. The footwear has a lot of padding on the bottom designed to give wearers a more comfortable run. The Guide 10 is meant for street or road running and is an overall durable shoe that comes in lots of different colors. There is extra arch support for stability, which is useful for individuals with high arches. Some runners did experience difficulty with a narrow or slim toe box or chafing from the interior fabric. Overall, the shoe is lightweight and comfortable. Some runners were able to take the Guide 10 on light trails with some success, and many others enjoyed that it had traction while moving in the rain. 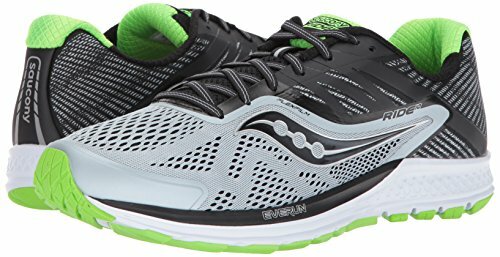 During a practical comparison of stats, it’s easy to see that Saucony produces lightweight shoes with minimal features designed to give people a comfortable run. There are actually few differences between the Ride 9, Ride 10, Guide 9, and Guide 10. The main difference is going to come with how people feel while wearing the shoes. Each of the Rides and Guides is designed to include arch support and some padding while focusing on a streamlined run. This means that people will need to try on the shoes to determine if this style works for them or not. Additionally, some runners might be more comfortable in one shoe over another. Asics vs Saucony - What's the Difference?